TOUCH THE GROOVE. Native Instruments Traktor brings high-impact DJing to iPad. 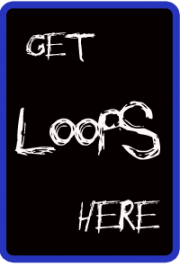 Touch your tracks, loop, scratch, and create stunning mixes in seconds. 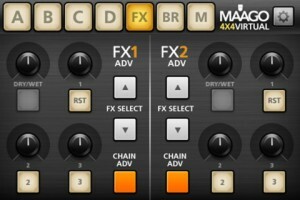 4×4 Maago Mobile App has been designed to wireless control Native Instruments Traktor™ or any other application or device that supports the MIDI protocol through a wireless connection directly from your iPhone/iPod Touch device. 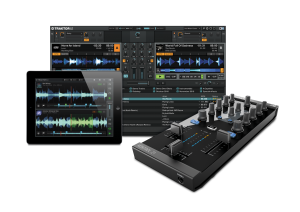 The App lets you control the four decks of Traktor™, the Effects and all the Browsing feature of the software. Also works on iPod Touch and iPad. 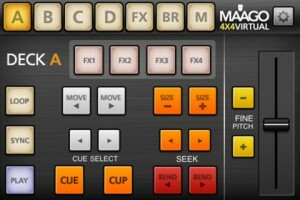 All you need to do is download the TSI file for Traktor™ from the Maago website and install it. Then connect the App via wireless Midi and you’re ready to play! Liine has provided an iPad Lemur community. 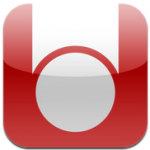 It’s for trading and sharing iPad Lemur templates. 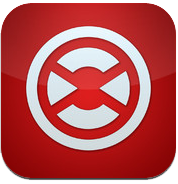 Lemur is a professional iOS controller app that doesn’t cut any corners. It lets you control anything, any way you want. Total flexibility means it can go as deep as you need it to. Lemur can control DJ software, live electronic music performance software, studio production software (DAWs), VJ software, visual synthesis software, stage lighting and more. 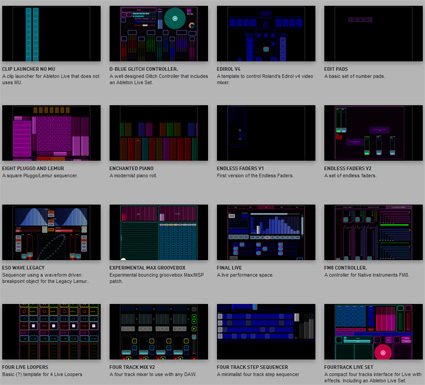 In fact, any software or hardware that can be controlled by MIDI/OSC can be controlled by Lemur. Hated physics at school? Now you’ll love it! The behaviour of many Lemur objects can be affected by powerful and easy to use physical models which can make your controller bounce, rebound and oscillate. Make your controller come alive. There’s absolutely no need to dive into scripting if you don’t want to. But if you’re the type who likes to get their hands dirty then there’s a powerful scripting engine inside Lemur. Harnessing this power will allow you to build extremely dynamic templates. Simply connect your iPad/iPhone to your laptop over Wi-Fi and make the connection! Lemur also supports CoreMIDI allowing you to use hardware interfaces such as Alesis’ iO Dock or the iConnectMIDI or class-compliant USB MIDI interfaces (with a camera connection kit). You can even control up to 8 computers from one iPad with Lemur!